What’s Coming, Ballots or Bullets? Wasn’t it Barak Obama who said ”if they bring a knife to a fight, we bring a gun!” That was an open invitation for any leftist marginal-nut cases, anarchists and safe space snowflakes, to swarm out onto our streets and violently protest the results of a fair national election simply because their socialist candidate, Hillary, failed to grasp the reins of Federal power. The same machine is used to stifle dissension and drive from the field any proponent of ideas opposed to their Marxist-Fascism. The course they are taking us is dangerous, unAmerican and doomed to fail. It is right and proper that our democracy should cling to ballots over bullets and jealously protect our coveted election process. Unfortunately, America no longer has two ‘democratic’ political party’s contending for leadership because one of them, the Democrat Party, have long been suborned by Marxists and are now, as the rising tempo of violence on our streets portends, becoming images of the Soviet Bolsheviks apparatus of old, Lenin’s shock troops as it were, that went about terrorizing and murdering Russian citizens until they complied. Violence definitely works…but not indefinitely, and it has been brought to America by Communists posing as Democrats. The Democrat Party, embracing Marxism and so near achieving their goal of bringing America to its knees, absolutely lost the ball in last Novembers election. Marxists hate to lose and do not intend to throw away the decades of political advances they have made to fundamentally change America, hence, the rising violent political confrontations we now see unfolding on our streets today. They have only one target, remove Trump before he drains the swamp. Their progressive minions come to us now embedded as government workers like traitor Reality Leigh Winner, a stealth leaker of classified reports, and the 66 year old Alexandria shooter as a derange Progressive madman. Both took action as they saw fit, or as the voices deep in their twisted little brains directed them, and acted unilaterally. They will bring guns to the fight. So, we must too. Many of these Marxist/Progressive Bolsheviks are our own children who have been nurtured like microbes of vile germs in the petri dishes of Marxism and allowed to fester and grow in our colleges and universities. Others are simply deranged madmen who can be easily tripped into action by the words of ‘resistance’ from the likes of Nancy Pelosi’s and Chuckie Schumer that issue from the congressional floor. Consider, no Oath Keepers,Tea Party members, Hindu’s, Jews, Baptists, Methodists or Hottentots, have had any hand in the past years of civil unrest, violent attacks, murder of cops and blood drenched streets that now visit us daily. The entire wretched mess of Americas division, its economic malise, and its military impotence can be laid directly at the feet of Socialistic/Fascism that is the Democrat Party, including the radical media. The products of their unilateral goals of multiculturalism, the fawning acceptance of violent Islam, rejection of Christianity and the moral virtues that are the glue of every great society are their bulwarks to the coming conflict between the forces of good and evil. The unseen danger here is the openness of the lefts derangement. Their willingness to be publicly hateful, openly attack institutions, oppose Constitutional norms and reject open discourse with the truth, is pretty much how its going to turn out. They didn’t plan on Trumps victory. That pushed them into it and they’re now willing to be the traitors they have become. 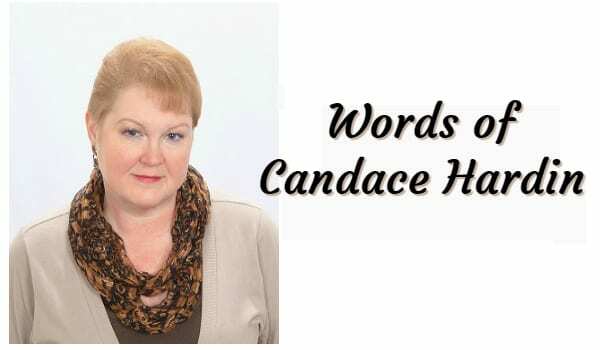 Next Article » The Democrat Collapse; Can it Recover? President Donald J. Trump is on a foreign trip meeting with Muslims, Jews and Christians in an effort to bring peace to the Middle East. The biggest hurdle he has to cross is, who does the territory of Old Jerusalem belong to? 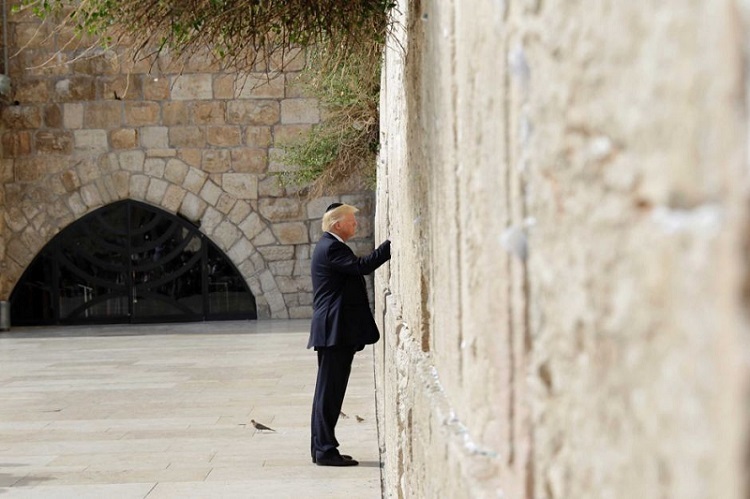 Donald J. Trump is the first sitting President to ever visit and pray at the Western Wall. Past sitting presidents have not visited the wall in fear of it signaling that The United States believes that the territory belongs to Israel. The Western Wall is a Jewish holy site due to its connection to the Temple Mount. This wall is also referred to as the Wailing Wall, where Jews weep at the sight of the destruction of the temples. Jews do not use the term Wailing Wall and considering derogatory. It is thought of as one of the holiest sites to Muslims because it is the location of the mosque, The Dome of the Rock. Did President Donald Trump’s visit to The Wall show that he believes that the site belongs to Israel? If so, how would he explain that to the 50 Muslim countries he met with earlier in the week? Maybe President Trump will attempt something like King Solomon did, by offering to cut the baby in half. No matter what he does the mainstream media will not report the significance of this trip and his attempt to bring peace to the Middle East. They are more interested in the Washington Post’s and New York Times’ unnamed sources and unconfirmed rumors to spend any time on a real story. Next Article » Happy Memorial Day & Thank you to all who serve & have served & sacrificed!